Auroch Minerals (ASX:AOU) this morning updated the market confirming the significant potential of the Tisová Cobalt-Copper-Gold Project in the Czech Republic. The Tisová Project located in the Czech Republic, where the company currently holds a nine-month option agreement to acquire 100% of the project. AOU is primarily focusing on the exploration of metals crucial to the Renewable Energy Industry, specifically Cobalt and Lithium, both used in the production of Li ion batteries and Polymetallic metals. Tisová one of three exploration projects in AOU’s portfolio. The company conducted 3D modelling that based on historical data of Tisová, including 72 surface diamond holes (25,985m) and 142 holes of underground drilling (14,299m). 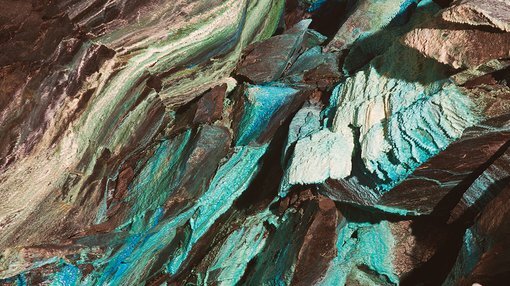 The best historic results at Tisová are 0.69% Cobalt, 17.1% Copper, 3.7 g/t Gold and 178 g/t Silver. This is the first time in the mine’s existence, that a 3D model of the sulphide zones and the underground development clearly indicates the potential of this multi-commodity project. The models identified more than 30 kilometres of underground development including the 400m Helena Shaft down to 9 level (400m below surface). Access includes a 1,000m adit that joins to the Helena Shaft at the 2 level from road north of Kraslice — the mine is flooded below this level. 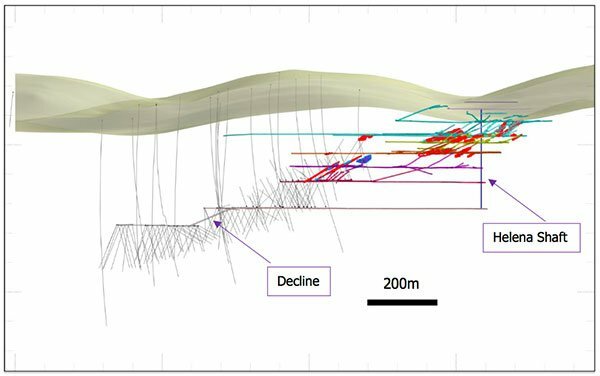 Modelled sulphide zones are open north, south and at depth, with sulphide zones more than 100m true thickness and the presence of multiple lenses of massive sulphide within a disseminated blanket. The modelling indicates that the best continuity of massive sulphide zones is down dip, and that high-grade copper horizons form narrow lenses less than 5m wide within thick sulphide blanket. Here is a 3D cross-section of Tisová historic drilling and underground development. The zones from where historic underground ore was extracted is shown in red. Here is a 3D sectional view detailing the sulphide zones within the orebody that have been modelled in Leapfrog using a classification of trace, disseminated and massive. Stoping is shown in Bright Red. Planned Phase one exploration (planned drilling) is shown with Blue traces. The 3D model is being used to plan the upcoming initial diamond drill programme, for which drilling is scheduled to commence on September 18.